We’ve been following for a while now, with attention and participation the important work of the sociologist Francesco Morace, of whom we have already spoken on several occasions. 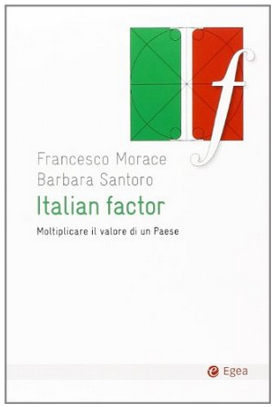 A particularly interesting event has been the presentation of his last book, co-written with Barbara Santoro, “Italian Factor” at the Chamber of Deputies in Rome in July. Having been there with the authors, we’ve had the chance to ask some questions both to Barbara (interview here) and to Professor Morace. With him, we started out recalling the experience with the cultural project “The Renaissance Link”. ermes ponti – The Renaissance Link and Italian Factor: two parts of the same cultural path? Francesco Morace – Even before Renaissance Link, my cultural path about Italy has started with two books: Italian Ways in 2003 and Il senso dell’Italia in 2008, in which you can find the foundations of an Italian Renaissance, starting from the lack of awareness of our uniqueness. With Renaissance Link, we created an Association able to deal with such issues, by creating awareness in companies and institutions. After 4 years, 50 presentations in Italy and 3 books (Verità e Bellezza, Talento dell’Impresa and Impresa del Talento), we thought that the aim of raising public awareness had been reached and we decided to dissolve the Association, and set each one of us free to continue with its mission individually. This is also one of the reasons I accepted with enthusiasm Barbara’s proposal about the book to write together. ermes ponti – You rightly report, in your speeches, examples of excellence. A tip for all the Small Businesses operating in the market average, without peaks of excellence, but without ever betraying the “good trade”? We believe that, among the 120,000 factories that shut down in Italy recently, there were some quite valuable, even if not outstanding… what do you think? 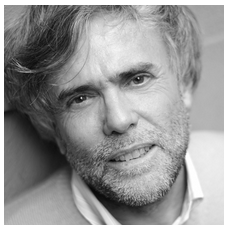 Francesco Morace – In this regard, let me mention an article in which I try to clarify the difference between Luxury and Excellence: the “good trade” is part of the culture of excellence but it’s just not enough in difficult times such are these we live in. To this, we must add the fact that Italian tradition hasn’t innovated enough. The vast majority of the 120,00 businesses that have closed were, unfortunately, not equipped in this dimension. Where would you start to establish a dialogue with value? Francesco Morace – I believe that politics is always a reflection of a country and its vices/virtues. We are the ones who choose the political class, that way the change will have to be deep, and arrive even in the foundations of being Italian. However, it seems that the new political season that Renzi and the PD have launched will bring positive developments. We need to bring along a new awareness and collective responsibility, a new focus on the common good and to the possibility of a happy growth. This is exactly the focus of my new book, which will be published with Egea in January 2015, called “Crescita felice. Per una economia civile”. Previous PostHow would you design the interior of a house? Materials? Furniture? Design? No, sir: talking to who’s supposed to live there.Next PostInteriors project for a German luxury brand? Won with a handmade prototype. A true story.